GST is set to rollout from 1st July, 2017 in India, completely overhauling the indirect tax regime. The proposed GST is set to improve ease of doing business in India and reducing tax burden by eliminating or integrating many of the tax codes. 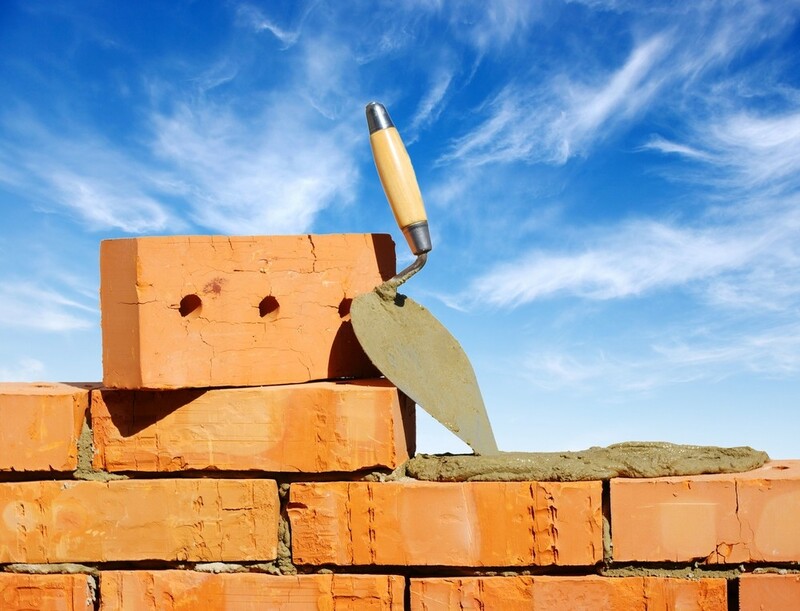 In this article, we look at the GST rate for building materials like cement, bricks, tiles, iron, steel and other materials used in construction. Building materials like sand, cement, bricks, marble, granites, tiles, iron and steel and other construction goods are classified under various chapters of the HSN Code. Hence, its important for those involved in construction to correctly classify goods based on HSN Code. Click here to check GST rate based on HSN code. Pebbles, gravel, broken or crushed stone, of a kind commonly used for concrete aggregates, for road metalling or for railway or other ballast, shingle and flint, whether or not heat-treated; macadam of slag, dross or similar industrial waste, whether or not incorporating the materials cited in the first part of the heading; tarred macadam; grenules cheeping and powder of stones. Limestone flux; limestone and other calcareous stone, of a kind used for the manufacture of lime or cement. Marble and granite blocks attract a GST rate of 12%. On the other hand, marble, granite and travertine, in other than blocks attract a GST rate of 28%. Other stones used in construction like porphyry, basalt, sandstone and other monumental or building stone, both in blocks and slabs attract GST at 5% rate. Note: Articles made out of stone are taxed under a different HSN chapter at different rates under GST. All types of portland cement, aluminous cement, slag cement, super sulphate cement and similar hydraulic cements, whether or not coloured or in the form of clinkers would attract 28% GST. Cements are classified under chapter 25 of the HSN Code. All iron and steel products are classified under chapter 72 of the HSN code and attract a uniform GST rate of 18%. Hence, iron blocks, wire, rolls, rods, etc used in construction attract 18% GST. (Full list of GST rate of iron and steel). Building bricks and bricks of fossil meals or similar siliceous earths attract 5% GST. Sand lime bricks and fly ash bricks attract 12% GST. Articles of cement, of concrete or of artificial stone, whether or not reinforced; such as tiles, flagstones, bricks and similar articles, Building blocks and bricks, Cement bricks, Prefabricated structural components for Building or civil engineering, prefabricated structural components for building or civil engineering attract 28% GST. Refractory bricks, blocks, tiles and similar refractory ceramic constructional goods, other than those of siliceous fossil meals or similar siliceous earths attract 18% GST. Glass based paving blocks, slabs, bricks, squares, tiles and other articles of pressed or moulded glass, whether or not wired, of a kind used for building or construction purposes; glass cubes and other glass smallwares, whether or not on a backing, for mosaics or similar decorative purposes; leaded lights and the like; multicellular or foam glass in blocks, panels, plates, shells or similar forms attract a 28% GST. Earthen or roofing tiles attract 5% GST. Floor coverings of plastics, whether or not self-adhesive, in rolls or in form of tiles; wall or ceiling coverings of plastics attract 28% GST. Bamboo flooring tiles attract 18% GST. Panels, boards, tiles, blocks and similar articles of vegetable fibre, of straw or of shavings, chips, particles, sawdust or other waste, of wood, agglomerated with cement, plaster or other mineral binders attract 28% GST. Articles of plaster or of compositions based on plaster; such as Boards, sheets, panels, tiles and similar articles, not ornamented attract 28% GST. Tiles made out of cement or concrete or artificial stone attract 28% GST. Ceramic flooring blocks, support or filler tiles and the like attract 28% GST. Ceramic flags and paving, hearth or wall tiles; ceramic mosaic cubes and the like, whether or not on a backing; finishing ceramics attract 28% GST. Glazed ceramic flags and paving, hearth or wall tiles; glazed ceramic mosaic cubes and the like, whether or not on a backing attract 28% GST. The following is the GST rate for all materials used in furnishing interiors of a building during construction. Insulated wire and cable is taxed at 28% GST under Chapter 85 of the HSN code. Chapter 85 pertains to electrical machinery and equipment and parts thereof; sound recorders and re-producers, television image and sound recorders and reproducers, and parts and accessories of such articles. Paints and varnishes (including enamels and lacquers) based on synthetic polymers or chemically modified natural polymers are taxed at 28% GST. Further, glaziers’ putty, grafting putty, resin cements, caulking compounds and other mastics; painters’ fillings; nonrefractory surfacing preparations for facades, indoor walls, floors, ceilings or the like is also taxed at 28% GST. Ceramic sinks, wash basins, wash basin pedestals, baths, bidets, water closet pans, flushing cisterns, urinals and similar sanitary fixtures under HSN Code 69 attract 28% GST. Sanitary ware and parts thereof of iron and steel attract a GST rate of 28%. Ceramic pipes, conduits, guttering and pipe fittings attract GST rate of 28%. Tube or pipe fittings (for example, couplings, elbows, sleeves), of copper, aluminium, plastic, nickel, iron or steel attract GST at 18% rate. Wall paper and similar wall coverings attract a GST of 28%. Padlocks and locks (key, combination or electrically operated) is taxed at 18%. Base metal mountings, fittings and similar articles suitable for furniture, doors, staircases, windows or blinds is taxed at 28% GST. I had a chance to go through your web site and I wanted to offer you our verified list of key contacts from Construction industry. We provide Complete business contact information including and Email Addresses. If you are interested please respond to our email. How to Correct GST Return?